Spectacle blind flange, is made by a steel spade and spacer, united by a welded handle. Spectacle blind may have a different type of joint face (RR Raised Face, FF Flat Face, RTJ Ring Joint), depending the type of flange. If the spacer is put in between the flanges, the passage of the fluid is allowed. 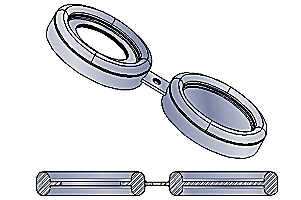 The rtj spectacle blind flange is inserted between two flanges: in order to guarantee a perfect waterlight two gaskets are normally mounted, one on each side of rtj spectacle blind flange. 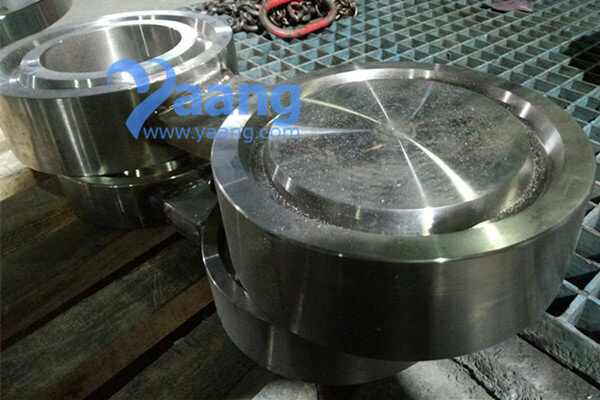 China Spectacle Blind Manufacturer Yaang supplies ASME B16.48 F51 RTJ Spectacle Blind Flange, 4 Inch, 2500LBS. A spectacle blind flange is machined from a single piece of metal that is cut to match the pipe size, fit between two pipe flanges and requires an additional gasket when it is installed. Also, the bolts will need to be lengthened depending on what piping class and size blind is used. The thickness of the spectacle blind is specified based on the line pressure and pipe size. The specification that determines the dimensions of a spectacle blinds is ASME B16.48 - Line Blanks. 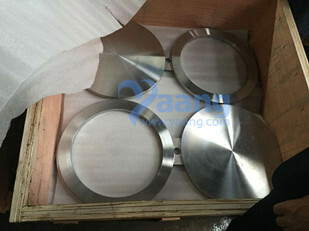 Where can we find the high quality ASME B16.48 F51 RTJ Spectacle Blind Flange 4 Inch 2500LBS.